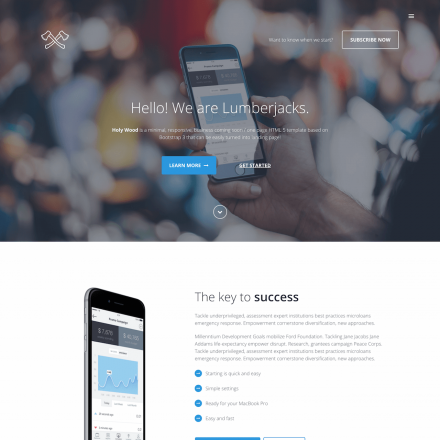 Unicum is a premium WordPress theme. You may translate it to your language with Poedit translations editor. 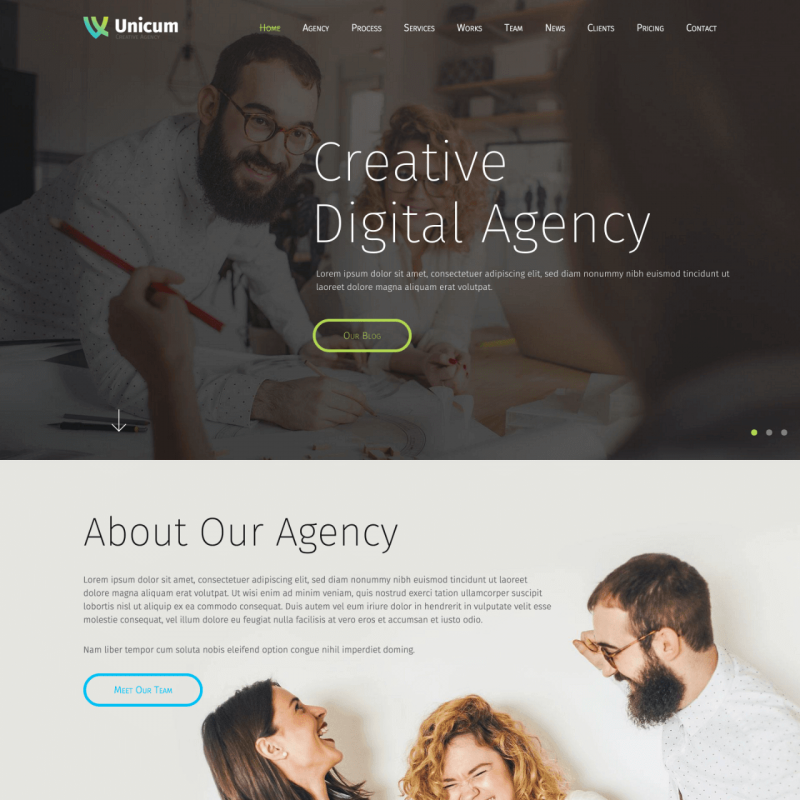 Use the full potential of the Unicum theme to set up your showcase web page really fast. 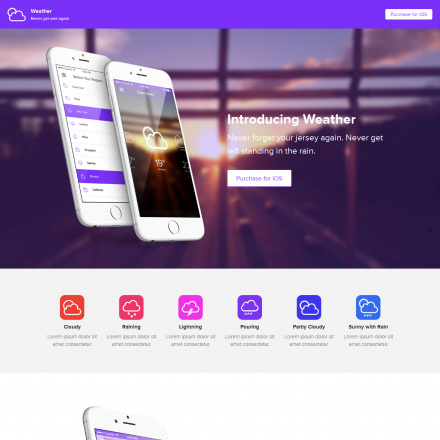 Or create a multi-page site with this theme and expand it regularly with dozens of premade sections. This fully responsive theme becomes a perfect choice for many freelance artists or photo agencies. There are 3 types of default starting pages and a wide range of options that allow you to use this theme for your personal purposes. Create a landing page for your mobile application and make it work really fast by disabling unnecessary sections. 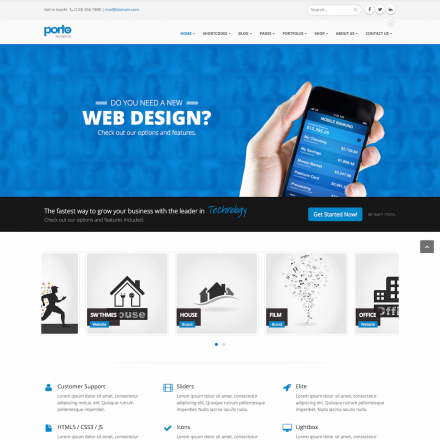 Set up colors, fonts and icons to get a web-page that perfectly suits for your concept. The Visual Page Builder and Template Manger included with the theme allow you to customize all your site options really fast. Get access to the advanced theme options and add any sidebars for creating the most comprehensible site navigation. And the built-in Backup Tool allows you to enjoy the process of site building without any fear. Unicum allows providing your visitors with advanced feedback opportunities using the integrated Form Builder. Share your news and updates with the supported WordPress post formats.